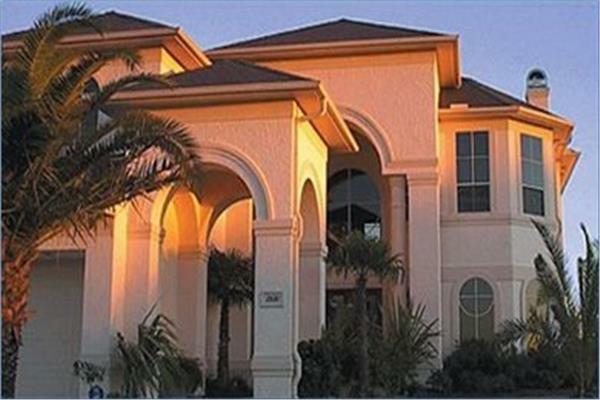 Homeowners looking to combine the luxury of a mansion-style home with the modesty of a more traditional residence frequently turn to House Plans 3500-4000 square feet for the perfect solution. These home plans are spacious enough to accommodate larger families, as they can easily include four or more bedrooms without sacrificing the majority of the square footage to them. It’s common to find grand, open foyers that hold impressive, centerpiece staircases in the floor plans of House Plans 3500-4000 square feet, establishing these estate home plans as a place of beauty and style. It is common for these foyers to lead into living rooms with high ceilings, which often connect directly with dining rooms or kitchens. The large area of these house plans also allows for many additional rooms beyond the standard bedrooms, such as studies and offices or dedicated game rooms. These versatile spaces allow homeowners more freedom with the decoration and furnishing of the home plan, as it is typically big enough to accommodate the additional needs of each family member. As with any estate-style home plan, House Plans 3500-4000 square feet frequently make space for modern kitchens that feature all of the latest amenities, often leaving it on par with the best gourmet kitchens. This can include the latest stainless-steel appliances, granite countertops, and enough cabinet space to meet all of the owner’s storage needs. Some house plans may also include center islands, which can double as eating areas or act as the primary cooking station with a built-in cooktop. A House Plan 3500-4000 square feet also commonly includes outdoor seating areas, such as a covered patio or a sunroom. Throughout the floor plan, owners can find multiple windows that allow in tons of light because the total size of the home plan can support more windows and openings without compromising the structural integrity or distracting from the outward appearance.